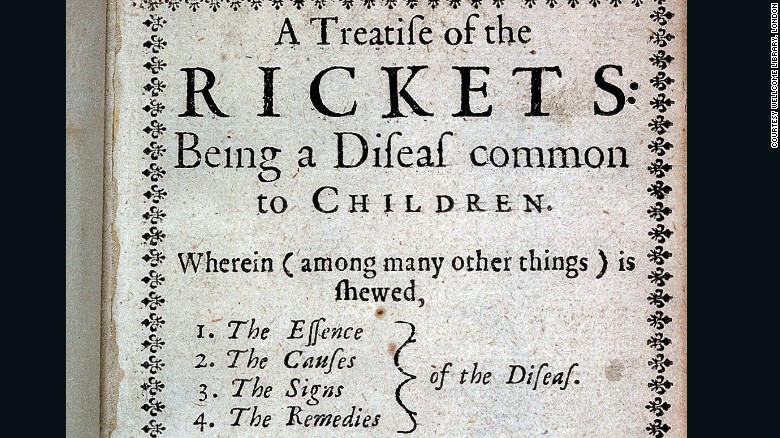 "A treatise of the Rickets," published 1651. Poliomyelitis is a sever infectious viral disease ,usually affecting children or young adults ,that inflames the brain stem and spinal cord ,sometimes leading to loss of voluntary movement and muscular wasting . Poliovirus is any of three forms of an enterovirus that causes poliomyelitis. Rickets is a disease that softens and bends children's bones. Commonly caused by a lack of vitamin D and calcium, it's often thought of as a 19th-century condition. Although there's a lack of comprehensive data on the global rates of rickets, experts believe that less time spent outdoors (sunlight is converted into Vitamin D) combined with inadequate Vitamin D and calcium in some diets, is causing it to make a comeback in developed countries. 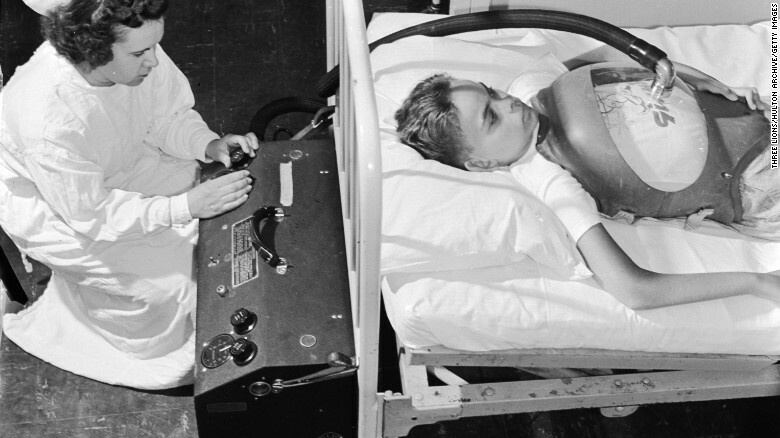 A boy suffering from polio being treated with a cuirass respirator, around 1955.